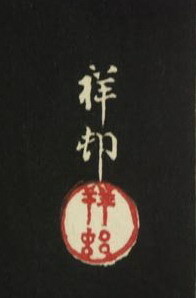 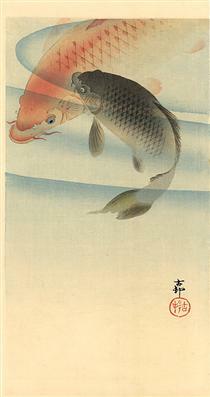 Ohara Koson's Signature as Shoson. 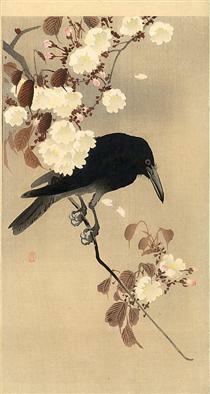 Ohara Koson (小原 古邨, Kanazawa 1877 – Tokyo 1945) was a Japanese painter and print designer of the late 19th and early 20th centuries, part of the shin-hanga ("new prints") movement. 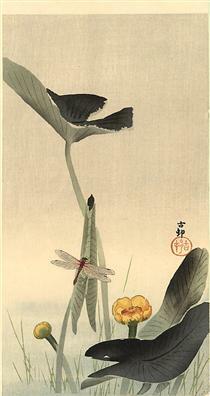 He was born Ohara Matao; it is thought that he started training in painting and design at the Ishikawa Prefecture Technical School in 1889–1893. 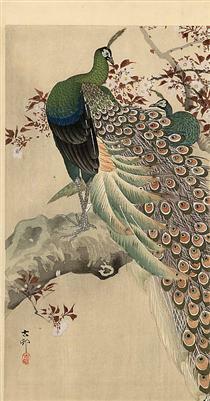 He also studied painting with Suzuki Kason (1860–1919), although accounts differ on whether this happened during his school years or after he moved to Tokyo in the middle to late 1890s. 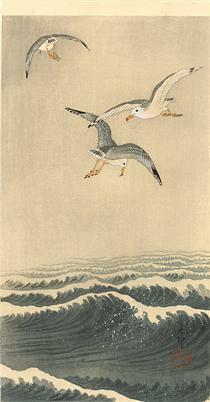 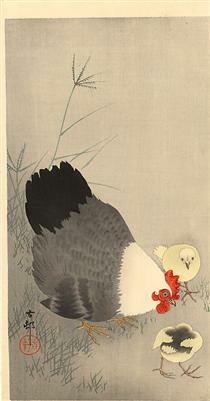 In Tokyo, he produced some ukiyo-e triptychs illustrating episodes of the Russo-Japanese War, but most of his production was prints of birds-and-flowers (kachō-e). 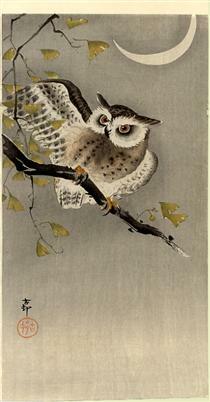 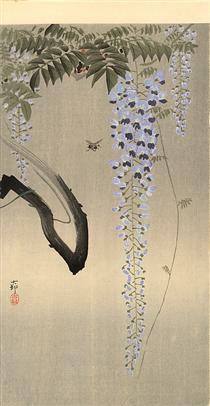 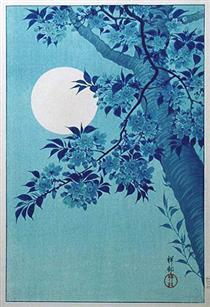 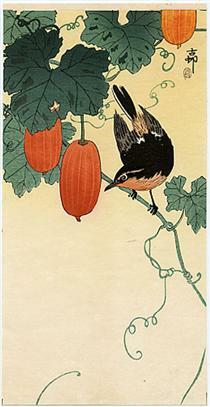 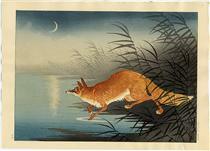 He worked at first with publishers Akiyama Buemon (Kokkeidō) and Matsuki Heikichi (Daikokuya), signing his work Koson. 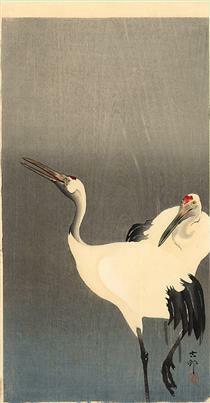 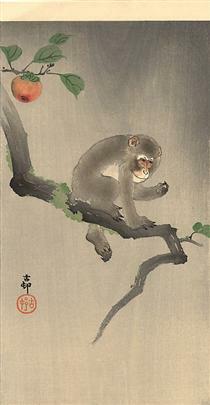 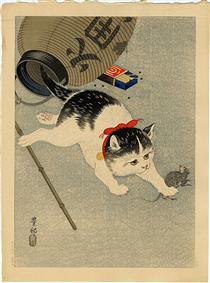 Starting around 1926, he became associated with the publisher Watanabe Shōzaburō, and signed his work Shōson. 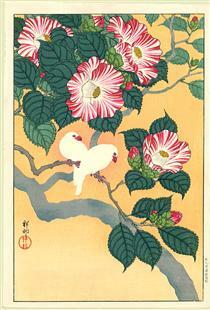 He also worked with the publisher Kawaguchi, signing his works Hōson. 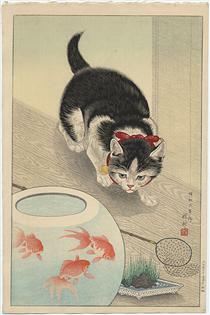 Through his association with Watanabe, Ohara's work was exhibited abroad, and his prints sold well, particularly in the United States. 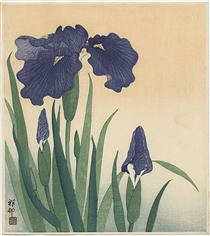 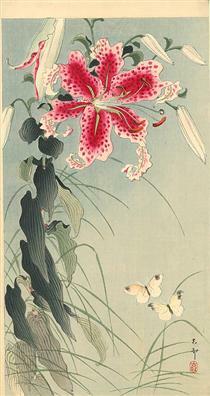 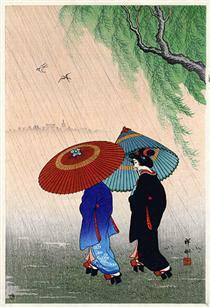 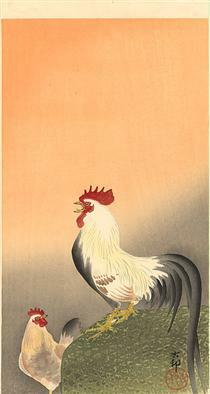 He was active designing prints until at least 1935, and died at his home in Tokyo in 1945.